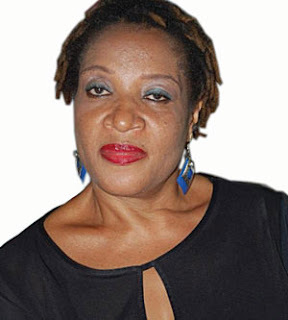 Two weeks ago, ailing Nollywood actress Ngozi Nwosu finally got on a flight to London, United Kingdom, where she is reportedly receiving treatment for a kidney malfunction. Before her departure, and probably due to the fact that she is a well-known public figure, several harrowing details about her health had circulated in the news media. The most distressing of such details was her reported desperation for money to offset the anticipated cost of her treatment in the United Kingdom. Eventually, she was able to proceed abroad only after the Lagos State Government came up with the balance required after a spirited fund-raising drive by Ms. Nwosu’s friends and associates had come up short. We have no doubt that the Lagos State Government has acted in good faith, and we wish to commend it for its generosity. We also note the sacrifice of close friends and associates of Ms. Nwosu and total strangers who responded generously to the request for financial support. Nevertheless, while genuinely thanking all those who came to the actress’s support, and while wishing Ms. Nwosu herself a quick recovery, it is important that the moral of her travails is not lost on us. The first pertinent observation is that the main reason that news of Ms Nwosu’s situation made the front pages and grabbed our attention is because of her status as a public figure. Had she been a regular Nigerian, unmoored from the media and national circuits of information, we would have been completely oblivious of her plight. This point is worth stressing because, as we speak, there are thousands of Nigerians nursing various kinds of ailments and perishing quietly in remote villages across the country. We know they exist because they are our friends, associates and family members, and we are pained by their plight because we are generally helpless in dealing with it. This brings us to the second observation, which is that, for the most part, the diseases that are mowing thousands of Nigerians down actually belong in the caliber of ailments for which cure is now generally available, especially in other African countries at comparable levels of socio-economic development. Ghana is a good example. One major problem in Nigeria is that of insufficient diagnosis. A related issue is that even when diagnoses are correctly and timeously done, care is not readily available due to the scandalous and totally shameful state of most of our public hospitals and dispensaries. A third observation, and a regrettable one at that, is that in true reactionary middle class Nigerian fashion, our response to a profoundly social problem has been pointedly individual. Meaning that instead of collectively putting pressure on the government and our democratic representatives at various levels to commit sufficient resources to the rehabilitation of our public hospitals, we have gone instead for private solutions that may work in the short term, but are guaranteed to fail in the long. Hence, rather than commit, say, to retooling and rejuvenating the University College Hospital (UCH) Ibadan, or the Ahmadu Bello University Teaching Hospital (ABUTH), we would rather wait for a medical emergency to arise, then hope that, at the eleventh hour, the sick can be spirited to London, New York or New Delhi, as the case may be. The names of Nigerians who have died in various foreign hospitals over the past twelve calendar months alone are too numerous to mention, and should be a source of embarrassment to any country that takes its sovereignty seriously.How, we wonder, can a country comprising so many intelligent people be content with such wretched lives of desperation? As it is with our hospitals, so it is with our roads, our universities, security and municipal services, and general law and order. Instead of investing in solutions that are proven to work for all and sundry, we opt for arrangements and palliatives that, at best, only postpone the evil day. We are happy that Ms. Nwosu was able to secure financial support to obtain treatment, and we hope that she will return home soon as her old zestful self. At the same time, we are sad that yet another Nigerian needed private assistance and handout from a state government in order to take care of her health. This is not the way things are done in all decent countries across the world, and no Nigerian citizen- highly or lowly placed – should have to depend on the generosity of either the government or private individuals for his or health. The way to avoid this is to invest massively in our health sector so that Nigerians of various stripes can find cure at home. The time to commence that urgently required investment is now.